Everyone knows that the Mediterranean Diet is good for you. We can see that in the fine health of people who have spent their lives eating this way, and esteemed doctors have backed that up with data. But this wholesome way of life is at risk in the place where it began. The premise of the Mediterranean Diet originated in Crete shortly after World War II, resulting in “The Seven Countries Study.” The basic findings were that some people in Crete lived long, healthy lives because of what they ate (and did not eat) during those hard times. There was no laboratory food, chemical agriculture or mass tourism yet. 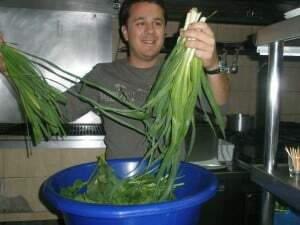 The only option was fresh and local food, which I call Real and Safe Food (RSF). But things have changed. When I moved to my grandmother’s homeland of Crete 16 years ago, some communities were importing the Worst of the West at warp speed. Generic forms of holiday making (mass tourism) swept through entire regions, leaving virtually no trace of local life. It didn’t happen gradually enough for residents to determine how to stop the heritage bulldozers. Many people anticipated a better future. But mass tourism affected the way most of my neighbors wanted to live and eat. Mass Tourism, Malia, Crete, Greece. Society was moving from subsistence farming/bartering to a world created by multinational corporations and public agencies that served them. Young Greeks wanted what the tourists had – vacations abroad, pizza and beer. The older Greeks wanted their children to have a better education, because their traditional lifestyle was no longer viable. So my neighbors bought into this fast-track system (unwittingly or not) in exchange for their pristine environment and what it provided – RSF. Crete’s RSF is at risk, and so is the population’s health: the rates of diabetes and heart disease are rising because residents have accepted corporate laboratory food from seed to table. Greek farmers and artisan food producers are rarely invited to speak in international forums, but the truth cannot be told without their voices. My first concern is, who is thinking about what Crete really needs right now? We need to hear from the people who actually know and are implementing solutions. For more than half a century, public agencies have been appeasing industries that have not served citizens well. Their promotion of Crete’s cuisine or tourism in the countryside is not comforting unless agencies and industries have a plan to protect it first. Now we have another heritage invader: All-inclusive hotels are on the rise, causing sudden death to local businesses. These compounds typically import 90% of their products, including food. The hoteliers’ excuse is that there is no consistency in local products. Are delectable local tomatoes too good for their customers? On the ground in Crete, I work with many specialists in organic farming, viticulture, heirloom seed saving, traditional cuisine, botany-ecology, ecotourism, archaeology. Their stories tell about the lack of support for producers of RSF, the lack of protection of biodiversity where our precious wild greens and medicinal plants (horta) comes from. Now that our cuisine and nature is “news,” we have the threat of mass tourism operators infiltrating our countryside with caravans of tourists in jeeps or 50 pax buses (they don’t call them people) on their programs entitled, “Authentic Crete.” It’s just the decades-old destructive system invading our priceless heritage. So when it was time for me to share my knowledge about Cretan Cuisine at a recent conference, I began by sharing my favorite recipe: conservation. Conservation of our priceless ingredients is what we need now more than ever. Both the local and global community benefit from RSF. UNESCO declared the Mediterranean Diet an “intangible cultural heritage.” While that is admirable, protecting the source of life of all species on Earth cannot be “intangible.” It must be Real. People accomplished this for thousands of years before the advent of chemical agriculture and mass tourism. There are still many people who know how to accomplish this today. Related Article “What’s the Mediterranean Diet…and who is on it anyway? 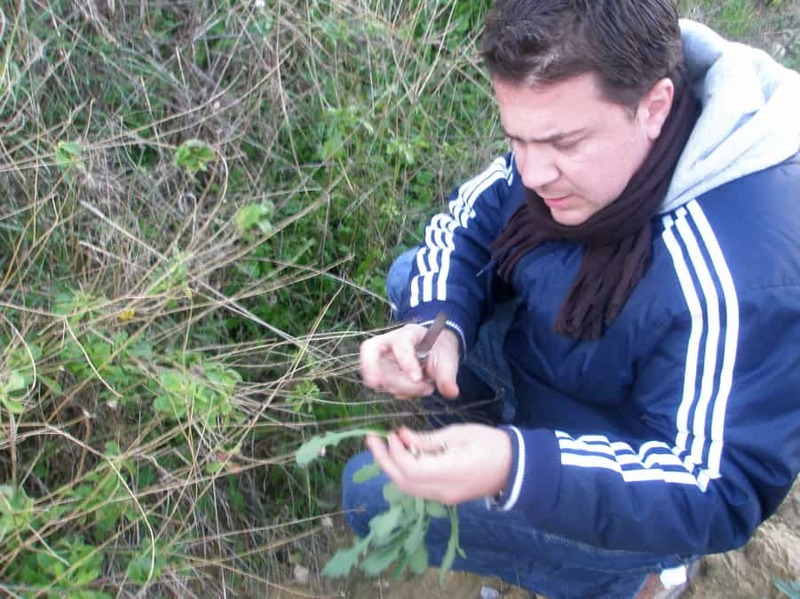 Founder & Director, Crete’s Culinary Sanctuaries Eco-Agritourism Network Educational programs celebrating Crete’s cultural and natural heritage An award-winning program for best practices. This entry was posted in Geotourism, Stewardship and tagged best practices, Biodiversity, Crete, Crete's Culinary Sanctuaries, cultural, Cultural Heritage Preservation, Educational Travel, gastronomy, geotourism, Greece, Nikki Rose, Organic, organic farming, Study Abroad, Study Tours by Nikki Rose. Bookmark the permalink.